U-Box & Visible Storage - Specialty Drawers - SVW, Inc.
We are proud to offer U-Box & Visible Storage dovetail drawers. These custom dovetail drawers provide flexible storage solutions for under sink applications. Visible Storage dovetail drawers provide unique display storage options. View our offerings below, then contact us to request a quote on your next job! This drawer box is designed to go around plumbing. 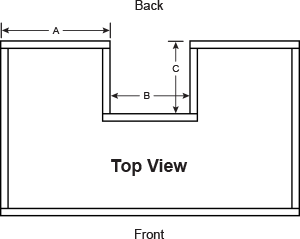 The customer needs to supply the dimensions for the “U” part in the back of the drawer box. The back and front sides are dovetailed. 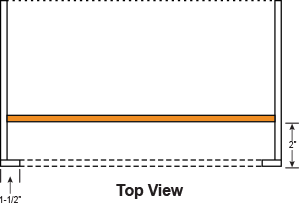 Parameters A , B, and C must be supplied by the customer. This drawer box is designed to show pasta or beans (or any other colorful items) through a clear 5 piece drawer front, which would be available through your door supplier. The divider is located 2” from the front of the drawer box. The divider is removable. It is slotted on each side which slides into pins on each side of the drawer box. 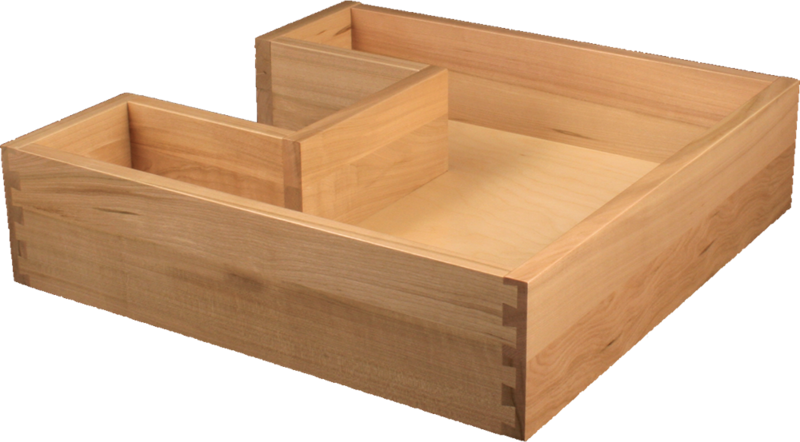 We invite you to click below to send us your custom dovetail drawer specifications so that we can provide you with an accurate quote. 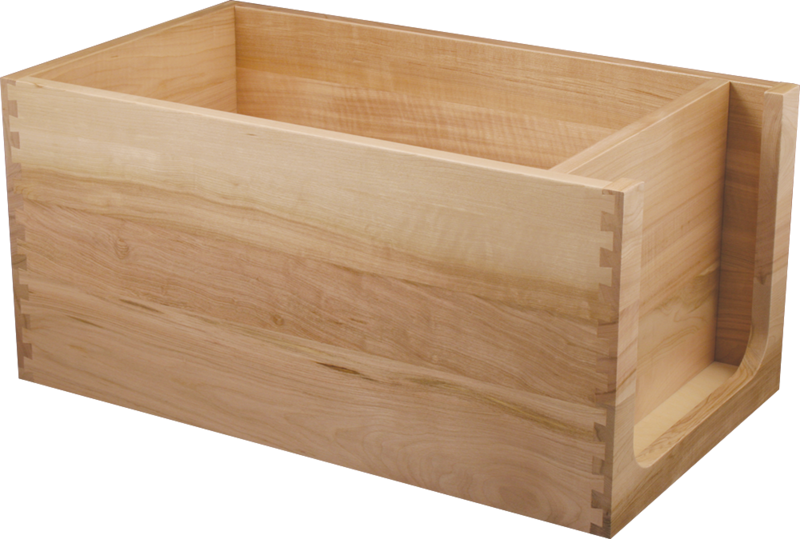 Thank you for your interest in Susquehanna Valley Woodcrafters, Inc., a leading custom dovetail drawer manufacturer.